This studio is in the complex Playa del Sol in Playa de La Arena. It has been newly renovated to a modern standard. It has a fully fitted kitchen with a dishwasher and all other kitchen appliances. The bathroom is spacious and luminous. The living room has a built in bed that pulls out into a double bed. From the living room you can access the terrace which is of a good size with great sea views. Another good thing about this studio is , the community fees also include your running costs , also there is free parking on the complex. 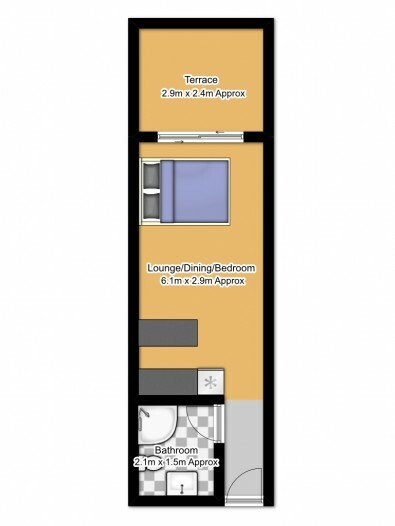 This studio is great for a first time home or holiday home for a couple as it is in the perfect location.